Liverpool's front three were 'impossible to defend' against Bournemouth on Saturday, according to James Milner. Sadio Mane opened the scoring in the Premier League clash with a clinical header, the fourth successive match in which the Senegal international has netted. 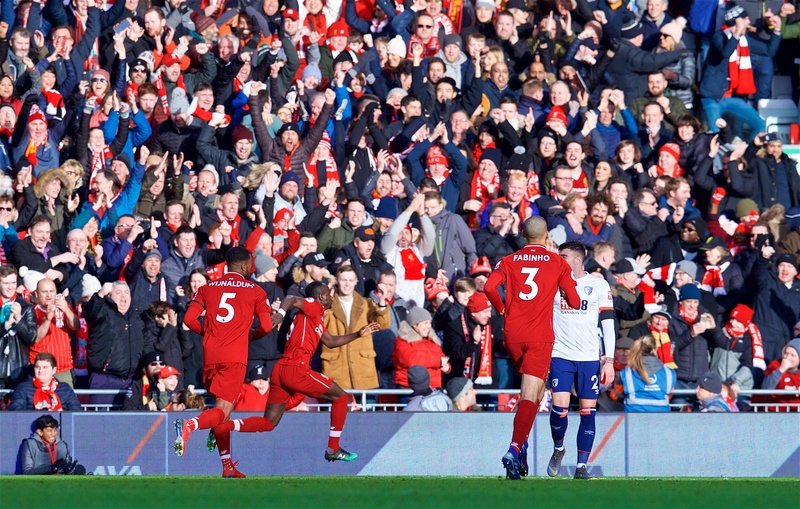 With the incentive of reclaiming top spot in the division, the Reds clicked through the gears at Anfield and Georginio Wijnaldum’s delightful dink doubled their lead. The Dutchman had competition for the game’s best goal, however. A flowing counter-attack three minutes into the second half peaked when Roberto Firmino’s unselfish backheel allowed Mohamed Salah to sweep home his 20th strike of the season. 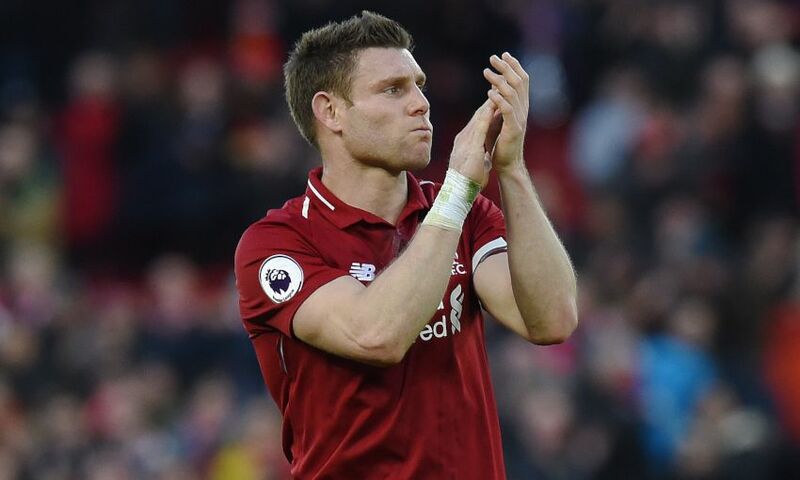 Milner was thrilled by the combination work of Firmino, Mane and Salah and felt Liverpool created enough clear chances to have scored more. But, nevertheless, the No.7 reflected on a strong display founded on the players’ determination to enjoy their football and the supporters’ commitment to doing their bit from the stands. It was a wonderful response and performance and you’re back to the top. How good was that? It was a better performance. There was more energy and more counter-pressing, which was good. We created some chances. In the second half, maybe we came off the gas slightly, but we were still creating chances going forward and could have had more. But maybe the defensive side wasn’t as good and that allowed them to have a few chances. But all in all, I think it says a lot about the squad. The preparation was disrupted again with a few illnesses and things like that, so it shows the character within the squad and the quality that’s there as well. There was so much purpose about the performance wasn’t there? We started the game really well and the crowd set the tempo as well. They were brilliant from the start, even in the warm-up. There was just a different feel around the whole place and that’s what we want. We are all in it together, that unity. That’s everyone at Melwood and everyone in the squad, at the club and the fans as well. They did their job and we managed to do ours – 3-0 and hopefully we can keep that going. The front three were brilliant all day. Some of their link-up play was impossible to defend: the movement, the understanding, the one-touch play. Probably the only disappointing thing is we didn’t score more. But we’re pleased to get a clean sheet and to get the three points was the main thing, obviously. It seemed like one of those thoroughly enjoyable performances from a player’s point of view? That’s what you want. If you are enjoying your football, then you play your best football. With the quality we have in our squad, it’s just about the players relaxing and playing to their strengths. Give it to Mo. Give it to Sadio. Let them do the stepovers, let them do the turns and the skills. That’s what they are good at. That’s what we have to do, the lads behind them – give them a solid base and give them plenty of the ball and let them go and express themselves. It was great and the crowd had a big part in that, the tempo they set and the atmosphere around the ground. That obviously gave the boys a lift. I thought we started pretty slow and they got behind us straight away and got us going really. We got into the game and got the goals. Once we scored the goal, we reacted better than we have done in recent games. We kept on the front foot – and that’s important – instead of taking our foot off the gas or trying to defend what you have got. Go again and keep playing the way we do as that’s what got us to where we are. How we want to play is front foot, that’s the way we know how to play and what we are good at. Will the 10 days [before the next game] come in handy now? I think [it will] for everyone. We are having one of those runs in the season where we have got little niggles, little injuries, illnesses and disruption to the team a couple of days before, it has been the last few games really. People say it’s disappointing the draws we have had – yes, it is, we would like to win – but all in all, hopefully at the end of the season we can look back and say they are good draws with the circumstances. Being hard to beat, no matter what the circumstances, that comes down to the team spirit within the squad, grafting through little knocks and illnesses and giving your all for the cause. The boys have been brilliant. Hopefully we can rest up and get everyone back fit. It was good to see Trent back, Hendo was on the bench if needed. That’s good and hopefully a few more can come back in the next 10 days, refresh and go again.